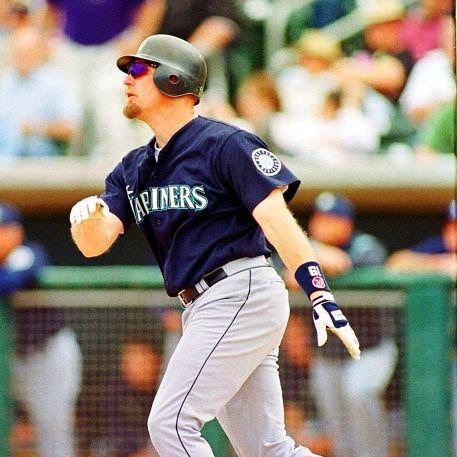 Mariners Latest: Death of the Power Hitter.....? Death of the Power Hitter.....? Throughout the offseason and still, on occasion this spring, there has been whispers about the death of the power hitter in baseball. Unfortunately, it got me thinking and, inevitably, down the rabbit hole that is baseball statistics. Speaking of which, a big thank you goes to Baseball Reference for providing the stats I needed and not making it too much of a nightmare to find it all. I came in to this not really expecting anything. The possibility was there that the power era was ending and the new gap power and speed era was beginning. To sum up the process, I started in 1901 and went through 2013. I used 30 home runs or more as the basis of a power hitter, which is partly my own personal bias. To me, 25 home runs is indicative of a hitter with power, but not a pure power hitter. I took the number of players with 30+ home runs in a season, the total number of home runs by all players, overall home runs per game for MLB and the percentage of home runs those players contributed that year (home runs of 30+ player/total home runs hit that season). It does not take in to account ballparks, but the numbers are based on all teams and all players rather than a strict comparison of specific players. With any luck, it doesn't make me look like a complete dunce. To make up for it, I also have some pretty graphs thrown in for visual aids. Shall we begin? For the most part, the trend for home runs in major league baseball as a whole has been a steady climb. 1918 checked in at the bottom with 235 home runs hit that year while year 2000 laughed itself into a coma with 5693. That may not, in and of itself, be surprising. In fact, its downright yawn inducing. The surprise comes from the almost predictable nature of the climb over the last 113 years. Several exceptions over the course of this time are World War 1, World War 2, 1968's "Year of the Pitcher" and the 1981 players' strike. Beginning with the year 1996, home runs disembarked from the steady escalator climb and stowed away on the space shuttle. After the record year of 2000, home runs have stopped its climb and is slowly heading back toward earth. Given the trend, 2013's power output would be where one would have expected it to be before the shuttle ride. And by the way, MLB started minor league steroid testing in 2001. On August 30, 2002, MLB and the union announced the Joint Drug Prevention and Treatment Program addendum to the basic agreement. Now as promised, a graph! That's a fairly quick explanation of home runs throughout the majors in the last 113 years, which is intentional since this isn't about home runs in general. The number of players who hit 30+ home runs a season isn't the most telling stat, given the changes over the years. It still, however, can tell a story. From '39-'41, three years prior to the USA entering the war in 1942, there were 4, 7 and 5 players, respectively. From '42-'45, the years many players went to war, there were 2, 2, 1 and 0. The three years after? 3, 5 and 9. While that doesn't seem like anything significant, 1929 and 1930 had the most players, 10, than any year up until 1950 when 11 players hit 30+ home runs. I decided, on a whim, to find out what the overall home runs per game looked like. Because I apparently enjoy making myself work, I decided to do every year since 1901. Much like home runs themselves, it began with a steady climb. Then we get to 1966 when, while there were ups and downs, remained fairly steady until 1993, with the exception of '87. The 2000 season saw baseball's highest HR/G rate at 1.17. In the top 10 seasons, '87 is the only one before '96 on that list with a 1.06 HR/G rate. If we expand the list to the top 25, there are 5 seasons before '94. '56, '59, '61, '62 and '87 join that list with rates of 0.93, 0.91, 0.95, 0.93 and 1.06, respectively. Another way to put it would be, beginning in '94, every season is in the top 25 for home runs per game. Much like the total number of home runs, there were obvious changes in the war years, '81, '68 and of course, 1996. And just as before, the peak was the 2000 season with 47 players hitting 30 or more home runs. After 2000, the fall begins with 2013 being the low point with 13 players. In case you're wondering, the average for 1950-1995 is 11.3 players a season. If I'm not mistaken, 11.3 is lower than 13. So the death of the power hitter is based on '96-'12 then? Maybe, but now I'm just cherry-picking start and end points. Let's take a quick look at the averages by decade then. Since the end of the 80's, the number of players that hit for power was a little more than twice that of any other decade. Well, now we're getting somewhere. For more pretty colors, here's the graph for 30+ HR players. And now for what is probably the most telling stat I used. The percentage of home runs hit by players with 30+ home runs. I'll be honest, I had done all the other numbers before I decided to look at the percentage. I'd be lying if I said I came into it completely unbiased. I got my first surprise when I began looking at the top seasons. The top 4 are what you'd expect. '96, '99, 2000 and 2001 came in with 32.6%, 30.8%, 30.4% and 29.4% respectively. Number 5? 1929 at 27.7%. As a matter of fact, in the top 20 seasons, 9 came before '96. From '20 until '41, the numbers were pretty much all over the place with a low of 5.4% and a high of 27.7%. There's no steady incline or decline within that time frame either. It looks like somebody threw darts and went with wherever it ended up. After that, 3 separate "eras" show themselves. '47-'76, '72-'95 and '96-'13, which you can see in the graph below. The first remains fairly steady at around 17% with several anomalies. The second is slightly lower than the first at about 11%. The third is a fairly sharp decline from a high of 32.6% in '96 to a low of 10.6% in 2013. And with that, I give you a graph and a conclusion. In 1961, Roger Maris hit 61 home runs. In 1927, Babe Ruth hit 60 home runs, which was more than all but 3 major league TEAMS that year. Hank Aaron hit 755 home runs in a career that started in 1954 and ended in 1976. Ken Griffey Jr., Jim Thome, Frank Thomas are recent bombers. Albert Pujols, David Ortiz, Miguel Cabrera current bombers. Bryce Harper, Mike Trout, Paul Goldschmidt future bombers. While its apparent that power hitters are on the decline, it appears to be more a return to normalcy than the supposed death that has been mentioned. Comparing the inflated numbers of the middle of the steroid era to where we're at now without any kind of historical context borders on irresponsible. 2013 may have been a slightly down year before '96, but because of the hyper-inflation brought about by hyper-inflated human beings, our expectations are skewed to a ridiculous degree. Since stats are where its at, we'll end on this: 2010 had 18 players with 30+, 2011 had 24, 2012 had 27, 2013 had 14. Before '96, the highest in any previous season since 1901 was 28 in 1981. Let's not take 2013 completely out of context and panic because there was only 14 players that hit for power. When put into perspective, 2013 was downright average.